You are here: Home / News / Uncategorized / The Latest Sunroom Design Trends! Design Elements That Elevate Your Sunroom. A well-designed sunroom is the perfect space to enjoy a cup of coffee, entertain friends and family, and even play games. Cozy and comfortable, a sunroom can add useful square footage that is bright and airy even on cold winter days. Sunroom design changes over time, but the trends we’re seeing are so smart that we think they just might stick around. Four Season Sunrooms: Sunrooms attached to older homes are usually only comfortable two out of four seasons. With proper insulation and ductless heating and cooling systems, you can now enjoy your sunroom four seasons out of the year. Concerned about cost? You can always nix the extra insulation and heating and cooling systems, but make sure you price and ponder both. Once you get used to the space, it may be hard not to have it all year long. Bring In The Light: More people are requesting floor-to-ceiling windows than ever before. Full panel windows let tons of light into your space and make you feel as if you’re sitting outside. Keep in mind any privacy concerns you might have with such an open concept and ensure you have the proper heating and cooling system in place if you want to be comfortable four seasons out of the year. Valley Roofing Builds Top Notch Sunrooms In Virginia. We partner with Betterliving to design and build sunrooms you won’t want to leave. High-quality windows and doors insulate your space and protect it from the elements. A 50-year warranty on your sunroom ensures you can depend on your installation for years. Choose the design that works best for the architecture of your home. 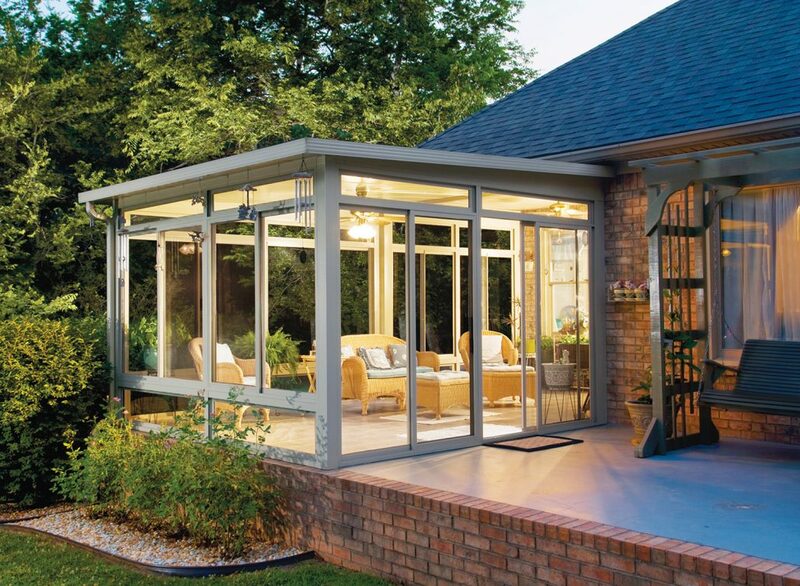 Contact a member of our team to learn more about adding a sunroom to your home! Are You Ready To Get A Free Sunroom Estimate? Gutter Cleaning – What NOT To Do. What Happens When A Roof Is Installed Poorly?